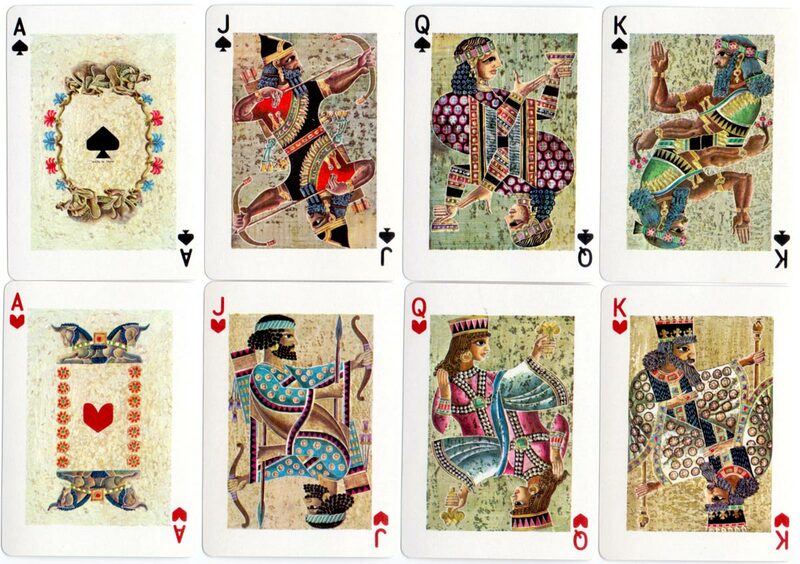 Ancient Civilisations playing cards were designed by Celedonio Perellón and first produced by Heraclio Fournier, Spain, in 1973. The pack is dedicated to four great empires of ancient times, the first cycle of civilised history, largely based on agriculture and governed by the high priest in a theocratic role. These cultures had developed a political framework and also left us the earliest written commentaries of humanity. 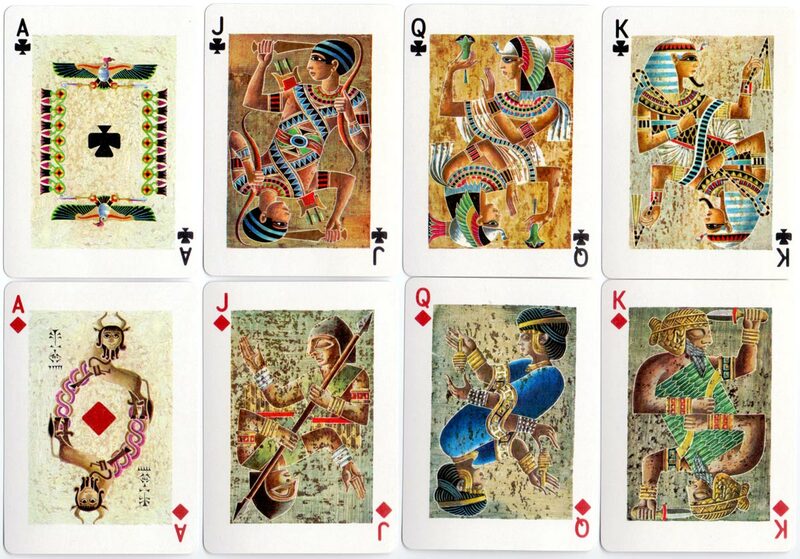 Above: Ancient Civilisations playing cards designed by Celedonio Perellón, manufactured by Heraclio Fournier, 1973, 1975 & 1980. Produced in single or double boxed sets, 52 cards + 2 jokers + title card + explanatory leaflet.